Arbikie distillery in Angus has made 300 casks of its single malt whisky available to buy for £10,000 each as it seeks to fund its first years of production. 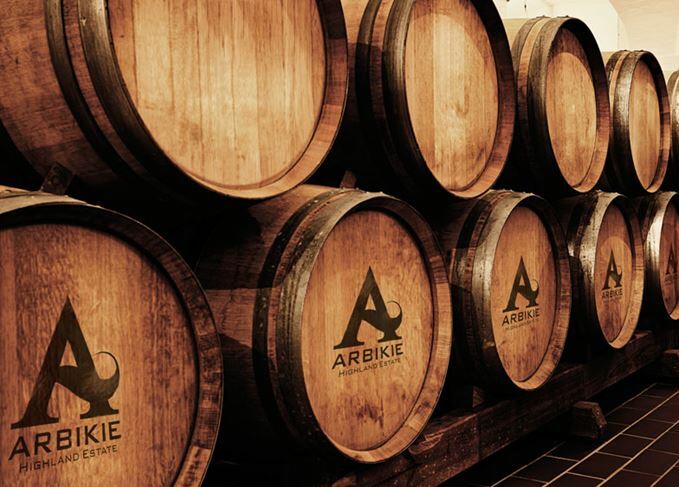 Arbikie and Fine+Rare have made 300 casks available to investors. Investors can purchase up to five of Arbikie’s 200-litre ex-Bourbon or 250-litre ex-Sherry 1794 casks, named after the first recorded distilling on-site. However, should investors be disappointed with their return, Arbikie is offering an eight-year buy-back guarantee. Fine+Rare (F+R), a fine wine investment firm, has partnered with the distillery to offer the casks and hopes to attract investors whose interest is in the top end of the whisky market, although it admits there is a risk investing in such a young distillery with no history of whisky production. Brothers John, Iain and David Stirling founded the current distillery in 2014 on their family’s farm near Arbroath as a way to enter the super-premium spirits market. Branded as ‘the first single-estate distillery in Scotland’, all of the ingredients used in Arbikie’s spirits are sourced on-site. The distillery claimed its mature whisky ‘... will be rich and deep with honeyed tones, and a complexity of salty, coastal notes’. The price tag for its ‘Founders Casks’ includes bottling, storage, insurance and labelling, while buyers are also invited to the distillery after three years to taste the liquid as it matures. Duty and VAT, however, have not been included in the price. Arbikie has already released an award-winning potato vodka, the only Scotch distillery to do so. The vodka combines three varieties of potatoes — Maris Piper, King Edward and Cultra — grown on the farm. Many distilleries sell off casks to bring in money while their whisky matures, with Kingsbarns distillery announcing a similar move last week. Arbikie has also released a chilli-flavoured vodka and a gin, as well as one limited edition vodka to commemorate Arbroath FC’s 36-0 win over Aberdeen Bon Accord in 1885, to provide some early income.